For the last race of the new Ultra4 North Series, we're bringing it back across the border to Columbus, MT. 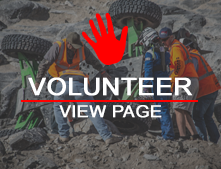 Expect all kinds of terrain to be featured in this unique event, which will be the last regional race of the season before the Ultra4 Nationals! Stay tuned for more information on the Ultra4 North Series, ending in Columbus, MT in September!